Happy Friday! It’s been a good week, and we’ve started a three week string full of visitors and trips. Right now my little brother Stephen is in town, and we’ve got our usual plans on the docket: lots of cooking, nature walks, and long talks late into the night. You know the types of guests where you don’t really have to stress or worry about keeping them entertained? That’s Stephen for us. This may be a little corny, but I’m really grateful for my brothers, and that’s probably my biggest driver in wanting to have more kids. People have always asked me and Pete how many kids we want, and we’ve always responded that we’ll decide at the margin, because fortunately you get them one at a time (unless you have twins lol). But I really do treasure having siblings and want James to have that too, no matter how overwhelming the thought of more can can feel at times, hah. Speaking of James, he’ll be starting pre-school in early September, which I can’t believe I’m saying because HOW did that happen so fast? We think it will be really great for him though. He loves playing with other kids and being out of the house, and we’ve noticed him going a bit stir crazy when we don’t have enough activity going on. 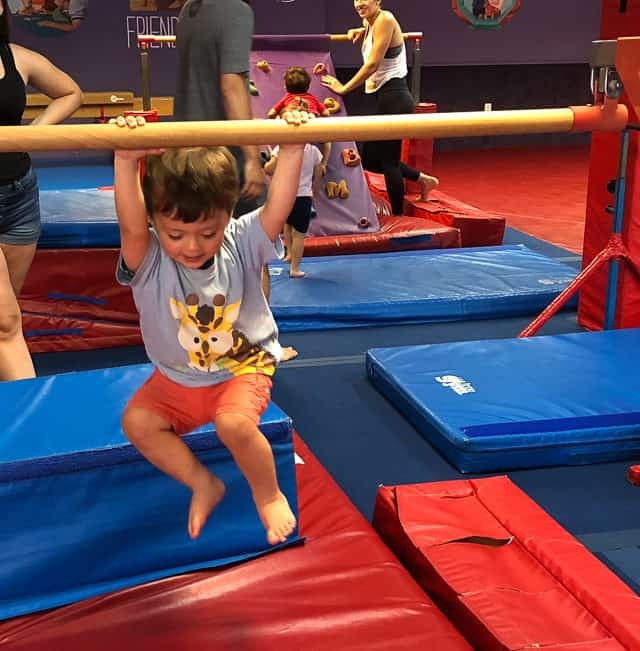 I’ve been bridging the gap this summer with a gymnastics-esque class for him with other 2-year olds, and he always has a blast. Also, it’s time to let out my food nerdiness and excitement with a pop quiz! Can you guess what food is pictured below? They are…cashews! I suppose the shape kind of gives it away, but I have never seen or had cashews with the skin on until last weekend, when I had a tub of these skin-on cashews gifted to me with an order I bought. 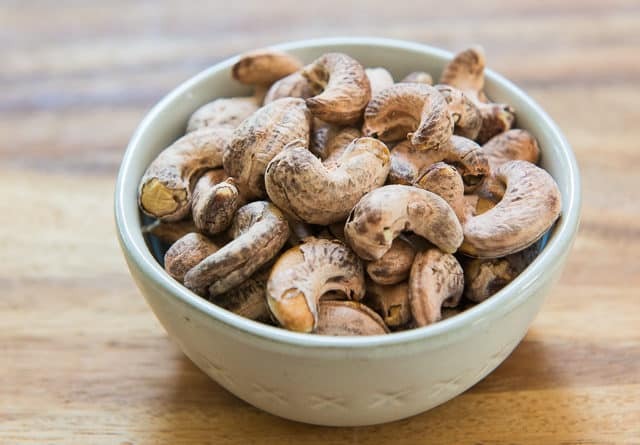 They’re called Wrapped Cashews and the skins taste kind of like peanut skins, but then it’s a cashew inside. It reminded me how I don’t really know how some of these foods that I eat all the time actually look before they’re prepared for eating. Pretty cool! Love how fresh and healthy this grilled vegetable salad looks! Breathtaking. I love The Guardian’s travel posts. Here’s a great one on Northern Spain too. In case you’re feeling ambitious. The first time I tried beet greens was at a restaurant in DC called Birch & Barley, where they used all parts of the beet in a risotto, and I had no idea how delicious they are. This recipe looks interesting. I love Blistered Shishitos and I see them all the time at the grocery. A friend first introduced the idea of JOMO to be a few years ago, and it’s pretty great. I can always use this reminder. I’ve seen Fior di Latte several times before but have never gotten that flavor. I’ll be trying it next time I see it. Sometimes I think I’d love to go bold like this but I don’t have the guts, hah! I’m currently reading Genius Foods and it’s one of the most eye-opening, moving books I’ve ever read. I have a feeling I’ll have more to say about this one in the future. We’ve been making a lot of this Slow Cooker Mexican Beef lately. I’ve heard so much buzz about both of these suitcases. I wonder if this will be a bit too simple in flavor for me, but I’m interested in trying more sheet pan meals.